A 60-minute teaching and Q&A session led by Khenpo Sonam Phuntsok every Tuesday, starting 11th September, on ‘Introduction to Buddhism’. These sessions will be relevant and applicable to Vanavasis from all backgrounds, faiths and walks of life. They will be beginner to intermediate in their content and style without any dilution in their authenticity. A 60-minute sitting and walking meditation session every Wednesday by Dr Tashi Colman, starting 12th September. Sessions will be open to all Vanavasis on retreat. Your treatments can be scheduled around sessions. Please note, for more immersive learning and understanding of the Buddha’s teachings, Khenpo Sonam will also lead the first Vidyaloke Study Retreat at Antara, Dehradun. For more details, click here. 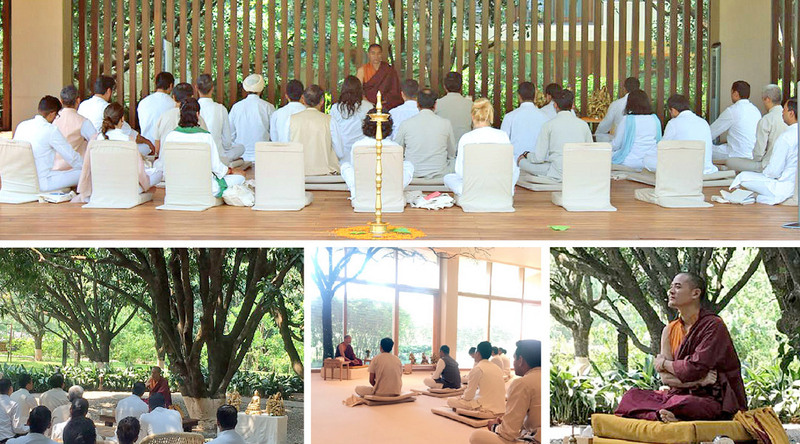 To book your retreat or express interest to attend Khenpo Sonam Phuntsho’s sessions, please write to Retreat Reservations at retreat@vana.co.in or call us at +91 135 3911114. You may also decide to attend after your arrival at the Retreat.